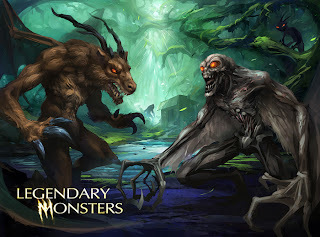 Barbecue17: Todd, just start off by telling us what inspired you to create the Legendary Monsters series: Are you simply a fan of cryptozoology or have you had some type of encounter with one of these creatures? Richard Todd Broadwater: It's a worlds colliding situation...My younger years were full of action figures, comic book and monsters. At one point I came across a book on sea serpents and I was hooked! I wandered through old book stores for year picking up tomes on ghosts, monsters and the Bermuda triangle. I was fortunate to work as a toy designer right out of college and often thought of producing my own toy line but I never quite figured out exactly what that would be. I knew I wanted it to be an idea based on something but not an existing license and then it hit me out of the nowhere...Why not produce a line of figures based on mysterious creatures? BBQ17: Why should action figure fans be excited about this line?  RTB: For me the biggest and most exciting part about the toys is that they are based on something, and not something that was just made up and then run as a movie, TV show or game, but actual people and actual real life experiences! That is what I think makes them more attractive and interesting; not everyone in Virginia is aware of Batman's current arch nemesis, but they all know who Mothman is! In addition, I created these figures to be handled and posed and dropped. They are much more than display pieces but figures that can handle a bit of wear and tear and still feel like action figures and not static statues that you have to be careful with. BBQ17: Now these have been in the works for quite some time, correct? I remember these from ToyFare magazine. What's continued to inspire you to move forward with this line? RTB: You are correct, I designed these around 12 years ago and finished the line, but had to put the figures on hold while I changed jobs and went from the toy industry to the game industry. Kickstarter was a huge inspiration to me and I was blown away by the possibilities that awaited me! It is tough for action figure lines on their site, though. Very few successes. BBQ17: If Legendary Monsters had been released in the 80s, what action features do you think they would have had? I can certainly see Mothman's package proclaiming: "Eerie Eyes Really Glow". RTB: So true! For one, they all would have glowing battery operated eyes if I had my way! To start off, Momo would have a fist punching ability! I would have the chupacabra jump and he would have a small vinyl tongue that could be extended. 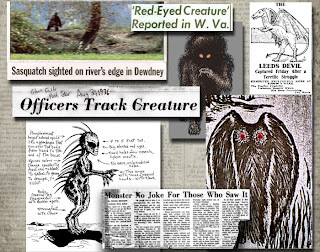 Mothman's wings would be spring loaded and the Jersey Devil would have flapping wings. BBQ17: These guys seem to be really well articulated- How are you deciding which figures need what points of articulation? RTB: I wanted to go with enough points for poseability and the knees, elbow and ankles were very important. I will be adding even more articulation to the next series of monsters. The standard has been raised quite a bit since these were sculpted! BBQ17: You've now released these figures with a gaming component: Can you tell me a bit about that? What might you compare it to? RTB: I come from a gaming background and I wanted to build a simple system of combat that could be enhanced by using the figures. The card game is very similar to the Street Fighter or Soul Caliber fighting games as well as pro wrestling in the way the two of more opponents battle it out in a space until a victor is declared! From my experience I believe it is the first miniature combat game with articulated figures...and these are painted! I always appreciate bases and stands with my action figures! BBQ17: You're no stranger to action figures, but boast quite a bit of experience working in the toy industry. Can you specify some of the lines you worked on? were down around the time I started there. BBQ17: Todd, which Jurassic Park items and play sets did you work on: stuff from the first Movie or the Lost World? RTB: I remembered it better once I thought about it: I worked on The Lost World micro playset and Turok figures that came with dinosaurs...sorry, they were so similar I mixed them up in my head! My favorite art piece I did was Godzilla colorforms! Loved working on those! BBQ17: Other than Legendary Monsters, what is your favorite action figure or toy product that you've worked on? RTB: We were hired to prototype a new version of Micronauts and the line was called Magnatron....they were 4" highly poseable diecast figures with magnetic components that worked with vehicles and play sets and sensors in the ships and bases of the play sets produced sound and triggered certain effects or state changes in the objects. The good warriors were falcon like space men and the evil warriors were an insectoid race that flew around in green hive ships. I loved working on that and still have the concepts at home somewhere. The packages are definitely works of art themselves. 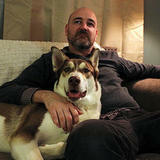 BBQ17: I also noticed that you've worked as Lead Artist and Designer for Bethesda Softworks. What exactly does a Lead Artist and Designer do? RTB:That was an amazing place to work. Great studio, great people, great games...period. As one of the designers and artist you craft elements of the world. I would be responsible for conceptual sketches of the space I was tasked to created and then I would build those elements in the computer, place them in our engine, and then populate them with AI to then test out the area. So not only did I get the chance to create what it looked like, but how it played. BBQ17: We're seeing more and more individuals working through Kickstarter to get their dream action figure and toy lines created. As someone who has worked in the industry and now is working through Kickstarter, how do you see the action figure industry changing because of self-funding initiatives? RTB: I would love to see the toy industry start to pick up like the indy game industry to produce more products. And with that would come unique ideas. Non-licensed unique ideas. That would be amazing! BBQ17: What are the biggest challenges you're facing in creating your own figures? RTB: Cost reduction really is the biggest challenge and finding as many ways to do as much as you can is useful to save on those costs...For Legendary Monsters I was self funding and was not experienced professionally in many areas I needed help in, so I studied up, borrowed or rented equipment, and asked for help. In the end I built all the marketing material and ideas, built a photo studio in my basement, and painted and designed all packages and materials. I did not sculpt the final figures though, and that is my current time investment. I am taking sculpting classes so that I can draw, sculpt, paint, photo and package. I hope to be competent in all parts of the chain and I have much to learn. BBQ17: What action figure lines do you actively collect? RTB: I buy everything monster related and I am a sucker for Marvel and DC heroes. Actively, I am still collecting many 12" sideshow figures, Marvel Legends, Neca horror related figure, and vintage 12" GI Joes! 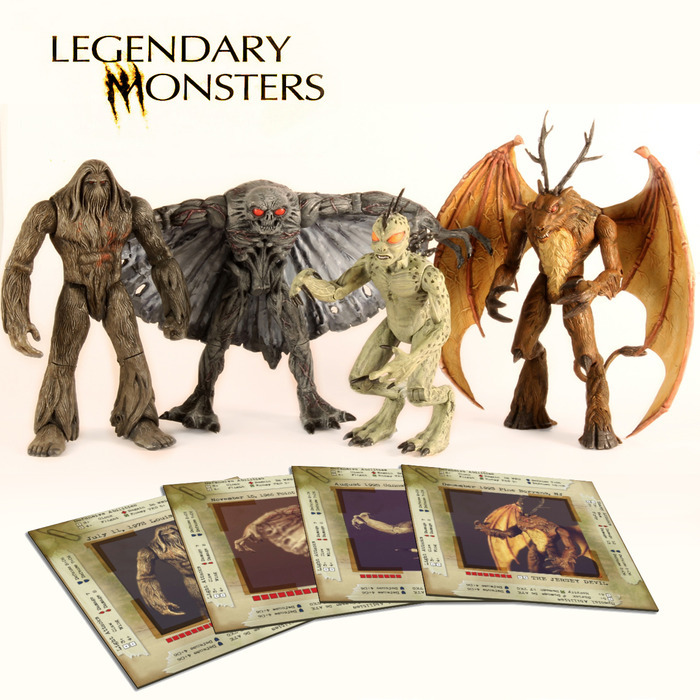 BBQ17: Ok, hypothetical situation: The creatures from Legendary Monsters series 1 have openly challenged you to a battle to the death for exposing them to the public. You can pick any three monster fighters or paranormal detectives to help you go up against the Monsters. Who is on your team? and JJ Arms: A real life private detective that had hooks for hands and even his own action figure! This line has such a unique concept. Probably one of the five toylines I'm most looking forward to this year! A very special thanks to Richard Todd Broadwater for taking time out of his schedule to answer some questions for us. 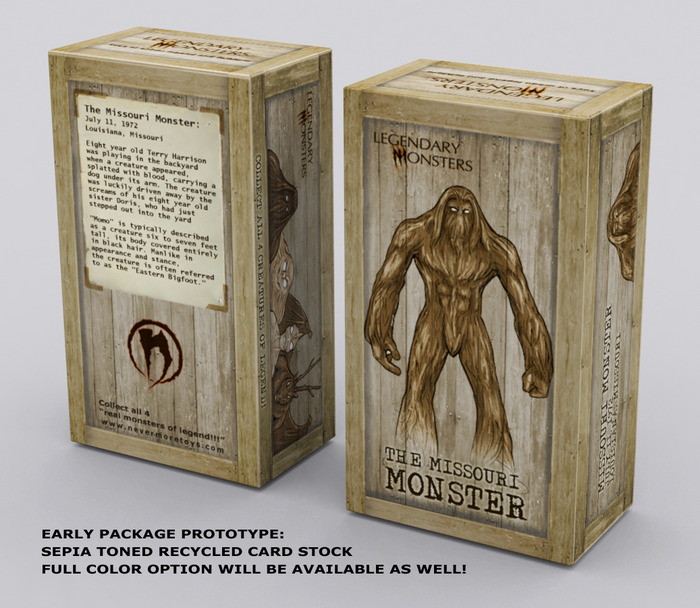 By now, Legendary Monsters has more than doubled it's funding goal and is now heading to meet it's stretch goals. 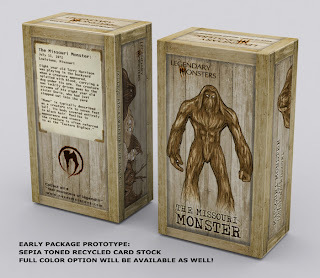 The first goal of a Slenderman game card has been hit and the project is less than $2000 from hitting it's next stretch goal, which nets the Bigfoot (Sasquatch) game card. Still 23 days left, so there will probably be more great stretch goals to come. Order your figures today here on Kickstarter's Legendary Monsters page. As a small child (and an average sized adult) Barbecue17 refused to sleep with his window open because of a fear of Mothman. True story. On those long sleepless nights, he adds pictures of toys and action figures to his Flickr account.